Modern motherboards support many different interface standards. This is done with the aim to be able to connect both old devices and new ones. This also applies to hard drives or SSD-drives. Virtually every modern motherboard has SATA 2 and SATA 3 connectors for drives. 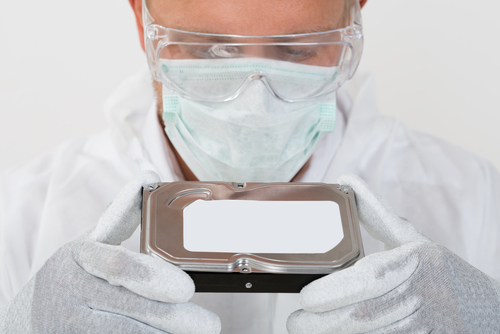 In this article, we will tell you how to determine whether your hard drive or SSD is connected to SATA 2 or SATA 3. Structurally, SATA 2 and SATA 3 connectors do not differ. They look absolutely identical on the motherboard, and only sometimes the motherboard manufacturer can make them different from each other in color. SATA 2 and SATA 3 are just platforms of seven pins. The key difference between SATA 2 and SATA 3 interfaces is the data transfer rate. As you can see, the SATA 3 standard is more modern, and through this cable writing and reading process goes at a speed much higher than that of SATA 2 if the connected drive supports it. The maximum data throughput through SATA 2 is no more than 3 Gb / s, whereas for SATA 3 it’s up to 6 Gb / s.
To reveal their potential modern SSD drives should be connected to the SATA 3 connector, because through SATA 2 they will work slower than they can. As for ordinary HDDs, they can be connected to both SATA 2 and SATA 3. In fact, the speed of the SATA 2 interface is quite enough to reveal their potential. If there are free SATA 3 connectors on the motherboard, you should also use them to connect HDD drives. This is due to the fact that they are able to provide your HDD with improved power management. Often, many users do not know which SATA connector in their computer is connected to the available drives. This can be a problem that reduces the drive speed. For example, if you connect an SSD to a SATA 2 connector, it will work much slower than it can when connected to SATA 3. There are software and hardware methods to find out which connector is connected to the hard drive. Let’s take a look at both options. The hardware method is extremely simple. It involves analyzing the system unit of your computer (or laptop) and determining from the information on the motherboard which SATA connectors are used for the drives installed in the PC. Next to the SATA-connectors there should be some information about their bandwidth; according to this information you will be able to understand is it a SATA 2 or SATA 3 connector. 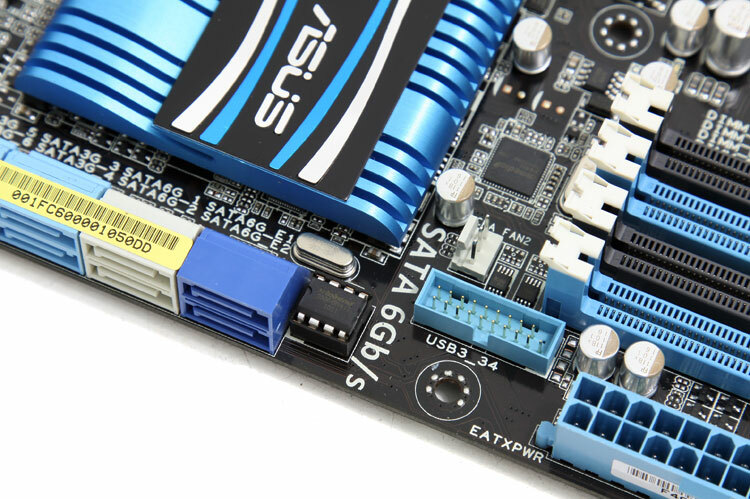 As mentioned above, the SATA 3 connector has a bandwidth of 6 GB, so the word “SATA 6G” is inscribed on the motherboard near it. Near the SATA 2 connector you can see the words “SATA 3G”. Thus, you can understand which connector the current drive is connected to; it works via SATA 2 or SATA 3. 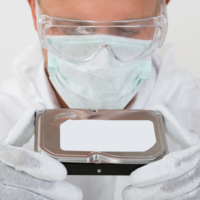 If there is no possibility to disassemble the computer, you can use specialized applications for analyzing PC components. There are quite a few programs that allow you to determine whether a disk is connected via SATA 2 or SATA 3. Download HWINFO from the Internet, install it and run. On the left in the device selection panel go to the Motherboard section. The right side of the window will show which SATA ports are available. As mentioned above, if 6 Gb / s is written near the port, it means that it is SATA 3 standard. To find out which port is used for a particular disk at the moment, you need to go to the Drives section. All currently mounted drives are displayed here. Select the drive to be analyzed and on the right side of the screen look at the information listed in the Drive Controller column. In this caption, the value before the @ sign indicates how much bandwidth the device has, and the @ sign indicates which port the device is connected to. That is, from the above example, we can conclude that this is an SSD drive that is connected to the SATA 2 connector, which does not reveal its full potential. 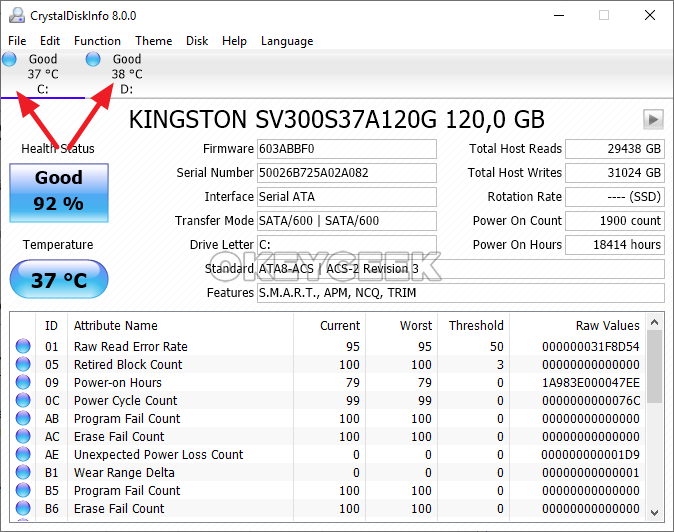 If the SSD drive is connected correctly to the SATA 3 connector, then the caption will be Serial ATA 6 Gb / s @ 6 Gb / s.
The second application that allows understanding how drivers are connected to SATA connectors is called CrystalDiskInfo. This program is made specifically for analyzing drives, unlike the HWINFO application discussed above, which is able to provide various information about the system. To find out which connectors disks are connected to through CrystalDiskInfo, you need to install the application and run it. After that at the top of the screen you can choose which data on which drive you want to view (in case there are several drives connected). Switch to the desired drive. Further, in the “Transfer mode” column, you can see information about which connection is recommended for the drive, and what connection is it currently using. Before the vertical bar, you will be able to find information on which interface the drive is currently connected to – SATA 2 (SATA / 300) or SATA 3 (SATA / 600), and after the dash there will be information about the drive potential. If the values ​​are the same or the second value is less than the first one, the SATA connector is selected correctly.